Tess Johnson (photo courtesy of Steven Earl). 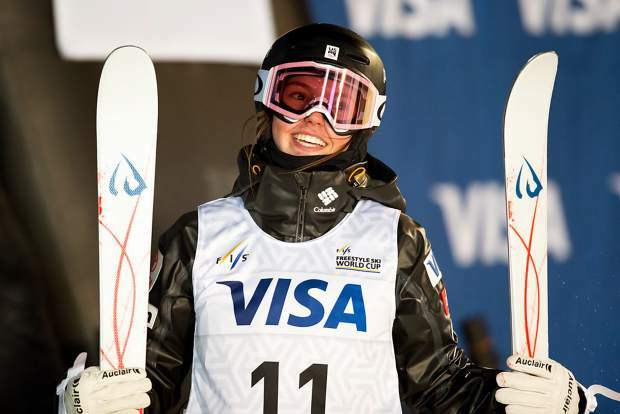 A recent fourth-place World Cup finish landed Vail Ski & Snowboard Academy senior Tess Johnson the fourth spot on the U.S. Ski and Snowboard team’s freestyle moguls squad for next month’s Pyeongchang Winter Olympics in South Korea. Fourth place is the worst place to finish at the Olympics (just out of the medals), so Johnson will be looking to improve on her best-ever World Cup result. Now the race is on to get the whole Johnson family to the Games, including dad TJ (a former ski patroller who now works in IT for Vail Resorts), mom Carol (most recently of Eagle River Youth Coalition fame) and brother and sister Tommy and Anabel. It has not been cheap supporting Tess’s meteoric moguls career the last few years, but that effort has paid off for the 17-year-old, who’s also a great student and a two-time state soccer champion for Vail Mountain School. This is an awesome Edwards family I’ve known for years, and the Vail Valley needs to rally to help them get to Pyeongchang. Please check out their GoFundMe.com page set up to help them with expenses, and do what you can. I know one family member for sure who will be watching over Tess next month is the great former Sports Illustrated and TIME Magazine writer William O. Johnson — Tess’s grandfather. Besides writing the book on Vail (Pete Seibert: Triumph of a Dream), William O. Johnson covered nine Winter and Summer Olympics, wrote about the Kennedy assassination and ensuing Warren Report and many other huge national events. He also had a great middle initial for a writer. Clearly he would have been incredibly proud of his granddaughter, who will forever be known as an Olympian.